Note: This article was first published in March, 2011. It recently won a bronze award for environmental writing at the 2012 International Regional Magazine Association awards. As the sun descends toward the horizon, I recline in a prized patch of light, eager to soak in the last bit of warmth before the evening chill sets in. I scan the modest hills around me, hopeful I will catch a glimpse of one of the most endangered species in North America: the Mexican gray wolf. In search of it, a few intrepid friends and I are camping in the Apache-Sitgreaves National Forest, just north of the Gila National Forest, in southwestern New Mexico. Mexican grays are extremely rare—there are only 42 in the wild—and we’ve camped where we’re likely to encounter this magnificent predator in its natural habitat. Curious, adaptive, and communicative, the wolf is also territorial, and a cunning and efficient hunter. For many, the wolf is a symbol of wildness; it’s howl reverberating in the human psyche as a reminder of our fight to survive in the face of uncontrollable natural forces. And this wildness may be why the 19th century’s pioneers viewed the wolf’s presence as an obstacle in the taming of the West. Beginning in the late 1800s, a U.S. government and private predator extermination program used a battery of traps, poison, and rifle shots to remove nearly all the wolves from the New Mexico landscape with nearly surgical precision. In the 1970s, the government changed its tune. In a reversal of the policy that had nearly wiped the species from existence, it began capturing live wolves in Mexico, the only place they still existed in the wild, for a breeding program intended to stave off extinction. The Mexican gray wolf, a.k.a. the Mexican wolf, along with all other subspecies of gray wolf (Canis lupus), was designated an endangered species in 1976. The breeding program began during this time with just seven Mexican grays, including only one miracle female. 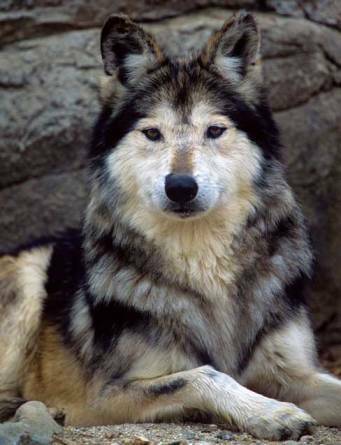 In 1982, the government recommended that the lobo (Canis lupus baileyi), the rarest and most genetically distinct subspecies of gray wolf, be reintroduced to its native habitat of southern New Mexico and Arizona, where the small (50–80 pounds), buff-and-gray animal is adept at skimming across desert landscapes. In 1998, after years of debate about where to establish a wild population, 11 wolves were released into the newly designated Blue Range Wolf Recovery Area (BRWRA)—a decision that voters supported then and now. The BRWRA, encompassing more than 4 million acres, includes the Apache National Forest and White Mountain Apache Reservation in Arizona, and the entirety of the Gila and Apache-Sitgreaves National Forests in New Mexico. These areas are some of the largest undeveloped and roadless—relatively speaking—swaths of land with appropriate habitat for the wolves. However, cattle also graze two-thirds of these areas, making inevitable encounters between the skilled predators and the heavy, slow-moving stock. Aldo Leopold, a former sportsman and the grandfather of the conservation movement, wrote in 1949, in his environmental treatise A Sand County Almanac, “There are some who can live without wild things, and some who cannot.” For those who, like Leopold, cannot live without wild things, the wolves’ release represents the return of some modicum of untamed nature. For others, like cattle ranchers and hunting outfitters, the wolves’ release represents a threat to their livelihoods. At play in this controversy are two valid and diametrically opposed visions of the West: that of the land as a treasure to be protected in its wild, ecologically balanced state, and that of the land as a resource to be leveraged. The survival of the Mexican gray wolf hangs in the balance. Tonight, as the last golden rays disappear through the latticework of stately ponderosa pines and ancient alligator junipers, sounds and smells from around the camp’s cookstove call my attention. For now, my aim to see a wolf in the wild will have to wait. As with all endangered species, the U.S. Fish and Wildlife Service (USFWS) is tasked with shepherding the gray wolf’s recovery. The gray wolf has flourished in states such as Idaho and Montana, and as a result the federal government is considering removing it from the list of endangered species. However, in the Southwest, the Mexican gray wolf, a subspecies, continues to struggle. Though wolves may be symbols of wildness, the USFWS’s management of them has hardly been freehanded. When the Mexican grays were first released in the BRWRA, they were given a “non-essential, experimental” status—a bureaucratic term that has had real consequences for the wolves. At the time, though the Mexican grays were the only wolves in the wild here, this phrase categorized them as unnecessary for the long-term survival of subspecies, and allowed them to be strictly managed. The USFWS and the menagerie of partner agencies that oversee the wolves established policies regarding where the wolves can travel (not outside the BRWRA), what they can eat (elk and deer, not cattle), and where captive-bred wolves can be released (Arizona, not New Mexico). The next morning, we heft our packs and journey farther into the open forest. We pick our way along a rocky section of the Continental Divide Trail, passing stands of oak and spindly pines that are beginning their reach for the canopy. Later, we startle crows scavenging on an elk carcass. Vestiges of pink flesh still cling to the ribcage, the bones stark white against the earth. Perhaps a pack of coyotes, a mountain lion, or a black bear—all of which frequent this area—felled this prey. Or perhaps it was wolves. Though the wolves have evaded us, we observe many human hunters in the forest. Clad in neon-orange, they rumble past on their ATVs, pursuing the abundant elk said to be in the area, though none report having had any luck so far. Though flourishing gray-wolf populations have decreased the hunting in and around Wyoming’s Yellowstone National Park, an area scientists say was once overpopulated by deer and elk, visitors now flock to the area—to the tune of $35 million a year—to see the wolves. Diamond says he hasn’t received any requests through his outfitting business for wolf tourism, nor does he expect to. Conservationists, however, remain hopeful that more wolves will mean more people wanting to visit the places they inhabit. As we hike deeper into the forest, we have yet to encounter the San Mateo pack said to roam here. The pack began as a male/female pair in 2003, and established territory in the San Mateo mountains. However, this was just outside BRWRA’s invisible boundary, so the USFWS caught them, then re-released them within the BRWRA. Then a new problem arose: After a series of cattle depredations, the male was fatally shot for violating the “three-strikes-and-you’re-out” rule. The rule, which requires that any wolf that kills three cattle in one year be removed, has been responsible for at least 70 wolves being taken from the wild. Depending on the situation, a wolf may be moved to temporary or permanent captivity, or shot. The USFWS abandoned this policy in 2008, after environmental groups filed a lawsuit arguing that it was a detriment to the wolves’ recovery. Since then, the New Mexico Cattle Growers Association and other similar organizations have filed suit to reinstate the three-strikes rule, which they maintain is a vital means of protecting their herds. In early 2010, the San Mateo pack’s widow found another mate and birthed a litter of pups, but her new mate was found dead in June. The cause of death is still under investigation, but illegal shooting, which has claimed the lives of at least 32 wolves, or vehicle collision, which has killed at least 12, may have been the cause. At the close of 2010, the twice-widowed female was running with five juvenile pups—itself a step toward the Mexican gray’s survival, considering that there are now only two breeding pairs in the recovery area, and that their litters have been smaller, possibly due to inbreeding. Although captive-bred wolves have been regularly added to the BRWRA populations over the last 11 years, scientists chose to release none in 2010, even as the wild population dwindled. Regulations mandate that captive-bred wolves be released only in the smaller, Arizona portion of the recovery area—a decision that, environmental groups and USFWS regional director Tuggle agree, was “politically motivated” to placate New Mexico ranchers. However, existing wolf packs have already claimed the Arizona portion of the recovery area, and experts predict that introducing new individuals would lead to fights over territory. The San Mateo pack is hardly the only one to prey on cattle. Though there is plenty of anecdotal evidence that wolves prefer deer and elk—there are even accounts of wolves passing through herds of cattle to stalk wild prey—encounters with cows, sheep, and even horses are documented. As of 2008, there were 123 confirmed cattle deaths in the BRWRA due to wolves. Laura Schneberger, president of the Gila Livestock Growers’ Association, whose 480 members comprise ranchers with grazing allotments in the Gila and others who support their cause, is quick to point out that official numbers may not account for all of a rancher’s losses, which she estimates are seven deaths to every one confirmed. Of course, the death of a single cow also means losing any calves she might have borne. Additionally, the stress of harassment by wolves can cause cows to miscarry and/or lose weight. And though the yearly average number of confirmed deaths represents only one percent of the cattle grazing in the BRWRA, the losses aren’t equally distributed among the ranches. “You can lose anywhere from 10 to 100 percent of your profit if you get a pack that is killing on your allotment,” explains Schneberger, whose husband’s family has been ranching at the RafterSpear ranch, outside Winston, since 1964. Schneberger has had several conflicts with wolves on her ranch. In 2003, for example, she allowed an alpha female that had killed a cow to continue to scavenge on it in the hope that this would prevent further kills. Instead, the wolf killed more cattle on Schneberger’s allotment, and was ultimately fatally shot for her transgressions. (Scientists haven’t been able to prove that wolves become habituated to the taste of cattle; however, anecdotal evidence supports the notion.) Though neither the USFWS nor the U.S. Forest Service, which oversees grazing allotments, requires ranchers to alter their husbandry, some have taken preventive measures. Schneberger has crossbred her stock with longhorn cattle so they can better defend themselves. She says other practices recommended in the wolf-recovery plan—such as burying carcasses, moving birthing and branding corrals, and free-range grazing only seasonally (instead of year-round)—aren’t realistic, or would further cut into ranchers’ profits. “Those suggestions are just telling people to get out of business,” she says. Schneberger also dismisses other measures said to deter the predators, such as flandry (colored flags strung on ropes or wire), and “howl boxes” that trick the territorial wolves into believing that another pack is already hunting in the area. The wolves, she notes, are too clever to be tricked for long. Beginning with the wolves’ release in 1998, the nonprofit Defenders of Wildlife reimbursed ranchers for their financial losses due to depredated livestock. More recently, the USFWS has taken over that responsibility. USFWS regional director Benjamin Tuggle would like to build up a principal fund of several million dollars, the interest from which would pay for the loss of cattle and preventive measures. The 501(c)3 National Fish and Wildlife Foundation will oversee the management of the interdiction fund, which, thanks in part to a $45,000 donation from Defenders of Wildlife, currently totals $90,000. In the future, Tuggle hopes a local council of stakeholders, including ranchers and hunting outfitters, will determine how and when to dispense these monies. Tuggle acknowledges that the ranchers have borne the economic brunt of the wolves’ reintroduction. However, he also holds steadfast to his belief in the wolves’ importance as a species and in the ecosystem. “The biology of reintroducing wolves is not that complex. It’s the social aspects of it that are the most complex,” he says. He hopes to soon begin the process of updating the plan guiding the Mexican gray wolf’s recovery, and to have a revised strategy in place in three years. Drafting it promises to take on important issues for the wolf’s survival, and to set environmentalists and ranchers snarling at each other once again in the tug-of-war of their respective visions of the West. Today, as I hike a forest path, I wonder if these gentle mountains and the wolf share a wildness we humans have lost. In favor of our modern, safe, prosperous world, we have caged and stored away our own wildness. Perhaps in preserving the wolves’ wildness, we protect the vestiges of our own. And in this salvation, perhaps we will recall that we could again, as we once did, coexist. The next morning in the Apache-Sitgreaves National Forest, as dawn casts blue light over our campsite, deep, raspy barks call me from sleep. A pack is on the move; they sound back and forth. Beckoning. Warning. Could this be? I listen closer. And then, just as it echoed across this rugged landscape a century ago: an unmistakable howl. Ashley M. Biggers thanks her friends for heading into the woods with her in search the Mexican gray wolf. She is the former associate editor of New Mexico Magazine.